Let’s get real and stop thinking we can change the world working in silos says Social Sector Leadership Development consultant and former Lifeline and Beyondblue CEO, Dawn O'Neil. 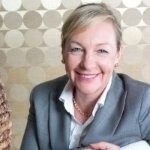 OPINION: Let’s get real and stop thinking we can change the world working in silos says Social Sector Leadership Development consultant and former Lifeline and Beyondblue CEO, Dawn O'Neil. There will always be those who are dis­ad­van­taged, who need social cap­i­tal and will need the social sup­port of their com­mu­nity. All civilised com­mu­ni­ties recog­nise this and have worked to pro­vide a safety net for those who are vul­ner­a­ble. Dur­ing the Great Depres­sion in Aus­tralia for exam­ple, wealth­ier fam­i­lies often took it upon them­selves to oper­ate soup kitchens in their own towns where the poor and unem­ployed gath­ered and the ‘ladies’ of the sub­urb gave out soup. These types of social ser­vices have evolved and expanded con­sid­er­ably since then how­ever in prin­ci­ple it is still com­mu­nity join­ing together to deliver a social benefit. Gov­ern­ments will never be wholly capa­ble for car­ing for all dis­ad­van­tages and nei­ther should they. We do have a social respon­si­bil­ity to care for each other as part of our role in the human fam­ily. This impulse of care is why we have thou­sands of Social Sec­tor or Not for Profit (NFP) com­mu­nity based organ­i­sa­tions all over the world. Typ­i­cally, an indi­vid­ual or a group see a need and are moti­vated to meet it either as an indi­vid­ual or collectively. There is no lack of this com­pas­sion and moti­va­tion in Aus­tralian cul­ture how­ever it is the way we organ­ise the response to care that needs a com­plete rethink, par­tic­u­larly in light of what is sure (so we are told by gov­ern­ments) to be more dif­fi­cult eco­nomic times as our pop­u­la­tion ages. Those with a pas­sion do not always do their home­work in the way a busi­ness ven­ture might, by mar­ket research or needs analy­sis, and in a way nei­ther should they. It is human to see some­one in pain and merely respond. To be truly effec­tive though, we need more than just pas­sion and moti­va­tion to effec­tively utilise the dona­tions and scarce resources avail­able for social good to ensure we don’t dupli­cate, mis­di­rect or cause unin­tended harm through our efforts. We need to apply as sophis­ti­cated – if not more sophis­ti­cated mar­ket research and analy­sis tools and intel­li­gence to this vital work. We need to see much more adap­ta­tion of proven busi­ness sys­tems and tools in the NFP sec­tor. This has largely not occurred because it has been beyond the bud­gets of most NFPs. How­ever, I believe we must be smarter and find a way to get this kind of invest­ment into the NFP sector. One way this could be achieved is by hav­ing organ­i­sa­tions funded to do this kind of mar­ket research and analy­sis on behalf of each sec­tor that tar­gets a par­tic­u­lar area of dis­ad­van­tage or com­mu­nity need. In addi­tion, they could mon­i­tor and mea­sure how effec­tive the efforts in this sec­tor were. If we did this well resources could be bet­ter directed to where they were most needed. This could be a role for peak bod­ies that cur­rently largely focus their efforts on mem­ber­ship ser­vices, research and advo­cacy but gen­er­ally don’t play a role in direct­ing ser­vice deliv­ery in terms of geog­ra­phy or other access points. It is time we stood back and looked at where and how we are direct­ing our efforts and rethink our busi­ness mod­els. Oth­er­wise, I fear that we will still be bemoan­ing the fact that there are ser­vice gaps and over­laps in 20 years time. I am not call­ing for more gov­ern­ment con­trol but I believe it is time for the NFP sec­tor to stand back and con­sider some alter­na­tive approaches that can more effec­tively har­ness our efforts and resources rather than con­tin­u­ing to rely on good­will and hard work alone. We need to be smarter about how we go about our work. Resources are going to get tighter in these ‘fis­cally con­strained times’ and expec­ta­tions from donors and fun­ders will be higher. We need a more col­lab­o­ra­tive, clev­erer approach that will enable indi­vid­ual NFPs to see the needs more clearly and then be able to mea­sure and track the results of their efforts. There is one such a model in the USA described in the Stan­ford Inno­va­tion Review of 2011 called Col­lec­tive Impact (Kania & Kramer, 2011). In this model the ‘back­bone’ organ­i­sa­tion pro­vides over­sight by per­form­ing the needs analy­sis, rec­om­mend­ing the fund­ing and then mea­sur­ing the social ben­e­fit by inten­sive data col­lec­tion and analysis. “ … col­lec­tive impact, the com­mit­ment of a group of impor­tant actors from dif­fer­ent sec­tors to a com­mon agenda for solv­ing a spe­cific social prob­lem. Col­lab­o­ra­tion is noth­ing new. The social sec­tor is filled with exam­ples of part­ner­ships, net­works, and other types of joint efforts. But col­lec­tive impact ini­tia­tives are dis­tinctly dif­fer­ent. Unlike most col­lab­o­ra­tions, col­lec­tive impact ini­tia­tives involve a cen­tral­ized infra­struc­ture, a ded­i­cated staff, and a struc­tured process that leads to a com­mon agenda, shared mea­sure­ment, con­tin­u­ous com­mu­ni­ca­tion, and mutu­ally rein­forc­ing activ­i­ties among all par­tic­i­pants.” Read more here and here. The beauty of this is that each organ­i­sa­tion has a totally trans­par­ent view of what they have been able to achieve plus what they could do to tai­lor and make adjust­ments to what it is they do. Of course, there would be some sec­tors where this model would not be rec­om­mended but there are many where this kind of ‘heli­copter view’ is des­per­ately needed. Over the past 25 years of work­ing in and around the NFP sec­tor in Aus­tralia I have seen many organ­i­sa­tions that lose sight of their orig­i­nal mis­sion and end up with ‘mis­sion creep’. Or, per­haps worse, begin to think that they exist to serve the staff or vol­un­teers rather than the clients. This is much more com­mon than we in this sec­tor would like to admit and usu­ally results in pre­cious resources going where they aren’t needed or into activ­i­ties where out­comes aren’t as effec­tive as they could be. Clearly some kind of trans­par­ent analy­sis and mea­sure­ment, in the form of ongo­ing data col­lec­tion and analy­sis needs to be a part of the way we do busi­ness in the future. A major bar­rier to this being pri­ori­tised has been a (in my view) mis­guided belief that NFP’s don’t need or can­not jus­tify spend­ing funds on research, data col­lec­tion and analy­sis, as this would be seen as tak­ing funds away from those they were helping. The fact is though, that the Aus­tralian NFP sec­tor already spends a large amount of pub­lic dona­tions on admin­is­tra­tion of the col­lected funds. Accord­ing to sev­eral sources, seven large Aus­tralian char­i­ties spend from 25 to 60 per cent on these costs. A sin­gle organ­i­sa­tion that could per­form this impor­tant task would see the organ­i­sa­tions freed to spend time on their core busi­ness plus be in no doubt as to the effec­tive­ness of what they are doing. It is a promis­ing start and these dis­cus­sions need to be held with the major Aus­tralian char­i­ties. How to achieve this or ‘get the ball rolling’, as we say is of major impor­tance and some­thing I am look­ing at ways to support. About the author: Dawn O’Neil is the Managing Director of Dawn O'Neil & Associates and Consultant in Social Sector Leadership Development; Community Mental Health and Suicide Prevention. She has a strong governance, strategic & organisational development and change management background. O’Neil has sat on both Not for Profit, community and public sector boards for over 20 years and has participated in a number of key Federal Government (Health and Ageing) Ministerial committees where she has contributed to social and health policy. You can contact Dawn by clicking here. This is a great article and heartily agree with many of the views expressed. They accord with various sentiments and thoughts I’ve had over the years arising from my involvement with the NFP sector – but that I hadn’t yet formulated into coherent arguments. I’m excited to learn of “Collective Impact” as one model to realise the ideas and goals Ms O’Neil has set out. I look forward to reading more about it. Thanks for the article!